Last weekend I headed over to Muizenberg to pick-up my surfboard after a repair from a mishap the previous weekend. The waves in Muizenverg were nonexistent so I took a drive to see some of the other breaks that I have not visited yet, namely Kommetjie (co-mick-ee) and Long Beach. Well I never got to Kommetjie as I spent much of the late afternoon watching and photographing surfing at Long Beach. There were quite a few people in the water and as I was unfamiliar with that break, and recognize the territorial nature of surfers, I decided not to surf but watch and shoot. I titled this "Back to my Roots", because my professional photography career started out by photographing sports. I really like the action and the fact that you have to anticipate where the peak point of action will happen to get a good shot. Additionally, I've always preferred shooting sports in Black and White. I converted this and made specific adjustments to my taste. I like the overall drama of the image. The point at which you don't know if the surfer is going to make his turn and the dramatic sky and mountain behind him. I did not have my long lens with me, but I quite like how this wider shot turned out. This morning I was thinking about the awesome experiences I've had while in Cape Town. When I dig deep though my most meaningful experiences have been centered around the people I've met. Two of these people are women and they competed against each other in the South African Longboarding Championships. They are Roxy Davis and Tarryn King. Roxy Davis and I at Surfer's Corner in front of Surf Emporium and Roxy Surf School. Both of these individuals have become my friends and I hold them in the highest regard.Actually, if you've ever seen them surf, especially at the same time they are like Surfing Superheroes I am still amazed every time I see them in the water and see the things they pull off. And not just in a surfboard either. Also on Stand-Up-Paddleboards. On top of all that they occasionally throw some top tip my way. Whether it is a small detail from Roxy that changes everything about my surfing to Tarryn encouraging me to "commit! She says, you must commit to get that big wave!" It is rare that you have World Class Athletes giving unsolicited advice to a novice. I consider myself very lucky. I can say that whenever I do miss a wave I think to myself that, from Tarryn, I did not "commit", or from Roxy, that I am still looking down at my foot position too long. My most unforgettable and best lesson was by Roxy. I'd been bugging her for a coaching session. Then one day, out of the blue she asks if I'm busy the next day. I planned on surfing so that's what I told her and then she asked if I wanted to meet her in the morning before the shop opened for a private lesson. Without hesitation I said I would be there. I learned so much in that one lesson. I learned that I was looking down at my foot position too long. That my paddling frequency was not fast enough to catch bigger, faster, stronger waves, as well as other tips. It was small details, not necessarily big things, but small things that made a "big" difference. To give you some perspective here, Roxy is a 7 time winner of the South African Longboarding Championship and has represented her country on the International surfing scene. How many athletes have the ability to win something 7 times! She is foremost a Mom, a wife, an entrepreneur and an incredibly humble and generous person. She started out renting beach umbrellas on Surfers Corner as a teenager. Then progressed to renting surfboards after being sponsored by Roxy S.A. She eventually opened her store, now Surf Emporium in Surfers Corner on Muizenberg Beach. She is involved with charities and sits on the Board of Shark Spotters. But do not be fooled, this woman according to her husband William, is a fierce competitor and hates to lose. Not hard to believe from a professional athlete. Then there is Tarryn King, formerly Tarryn Kyte, who married a great guy and SA Champion in his own right, Thomas King. Tarryn is a really sweet woman and an unbelievable athlete who works at XpressionOnTheBeach directly next door to Surf Emporium. She was also a student of Roxy's and learned to surf at Surf Emporium. Tarryn as well, is one of those people that you would never guess is a professional athlete from her humble and welcoming nature. 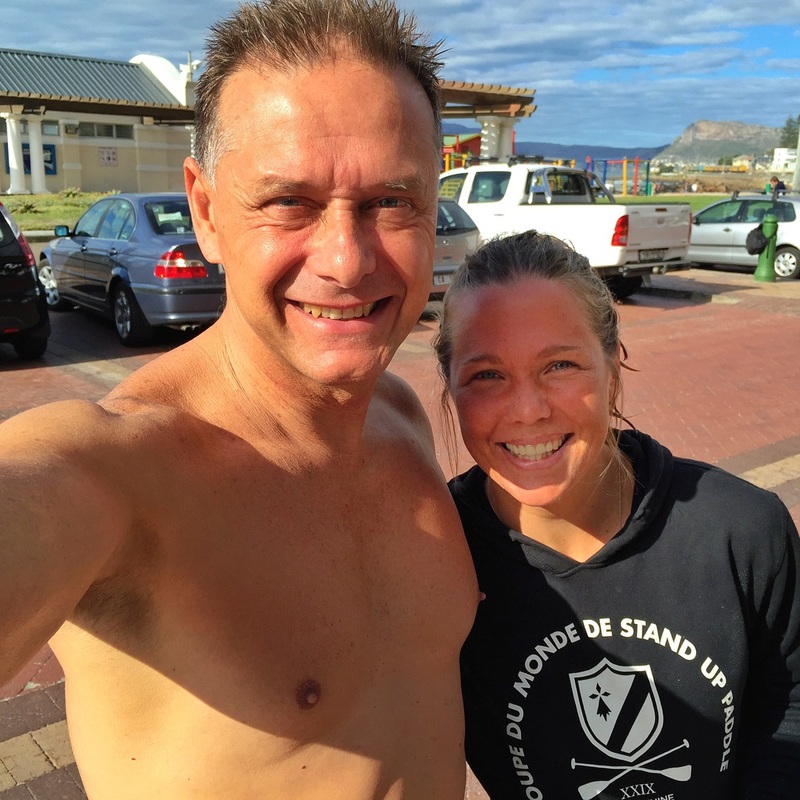 She is a tremendous surfer and is now touring with the South African Surf Team and competing in the SUP World Championship in Mexico. Tarryn won the Final at the SA Longboarding Championship in which Roxy also competed. Here lies the dilemma. Both are my friends, but both cannot win. I cheered them both on, and hoped that their trip to SA Champs would be filled with camaraderie, and good times. Alas, there could be only one winner, or maybe not? If you go back to the beginning, could there be one thing, skill, behavior, or technique that was passed on by teacher to student. What if the initial experience with surfing was so awesome that inspired the student to continue and achieve great heights. Frankly, I don't know how long Tarryn was taking lessons with Roxy, but I know that in my own experiences, I have always been able to take something from every lesson in whatever topic and apply it to future skills. Talent and a lot of hard work have paid off for Tarryn to become the Champion she is. She will be a Great Champion. I congratulate her in her achievement. I feel that the Women's South African Longboarding Championship will remain on that adjoining porch on Surfer's Corner between Xpression's and Surf Emporium for a long, long time. It matters to me not which way it goes on that porch. Just keep it on the porch! And I'm also sure that Roxy can look over with a smile and be happy. What better person to win against you than a former student and friend. I've been trying to get a shot of the train pulling into Muizenberg for quite some time. I'm just not ever there at the right time. It's an old electric train, not very reliable, or safe, and quite run down, but very colorful, especially against the sky and the old buildings around the tracks. I like the fact that while some of the buildings have modern businesses, they've kept the old writingingnon the outside. The yellowish building at the side of the tracks has a surf shop and restaurant downstairs and a Backpackers (Hostel) above. This time I was approaching the tracks and the gates for the crosswalk closed. I continue to post my 365 images as I get to them. It was tough enough to make the images let alone post them everyday. To that end I am still catching up and I plan to make a small book of all of the images. I'll have more information on that as soon as I get some information on details and possible publication methods. I want to get back to real photographs that you can hold in your hand and not just see on the computer. Nothing beats having an album. I made this image one evening when I saw this beautiful fiery sunset and there were a couple of people walking on the beach. I wanted to convey how nice and simple life can be by just taking a walk with a loved one. I made this with my Fuji camera and I made three exposures and combined them to be able to get the bright light of the sun and the shadows in the same image. Table Mountain at dusk with the lights of Melkbosstrand and Table View in the foreground. No one is on the beach as far as the eye can see. It was a cold night. This is what I place my iPhone in when I take it surfing. I made this image immediately after my ALS Ice Bucket Challenge video. Luckily it was warm in Cape Town that day, but as usual, the water was Ice Cold so I needed neither a bucket nor ice! I made this sunset image along the "Cape Wine Route" while I was having a pizza at a Craft Beer Brewery. Table Mountain can be seen in the distance on the right. Beautiful place. Great beer! One of my passions is street photography. I really like capturing what I see at just a random moment on the street. Late at night you have to use a slower shutter speed and what I like about this image is that the guys standing there are sharp, but the girl is somewhat blurred due to her motion. 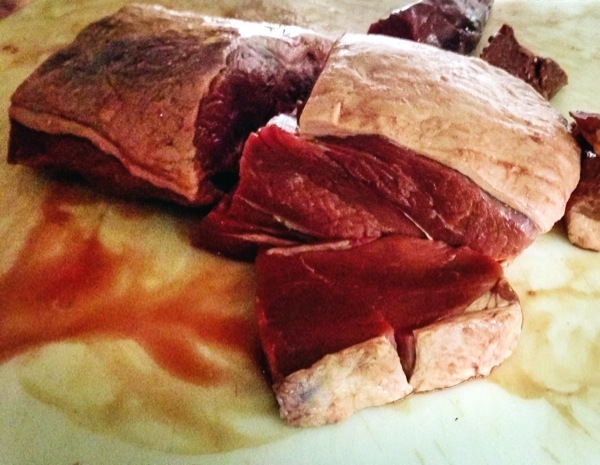 Great steaks in South Africa. At this restaurant in Cape Town you select your type of steak, size, and thickness! The Famous Butchers Grill. When I go into town, I sometimes frequent the other Virgin Active Gyms of which I belong. I was at the one in Canterbury Square, in Cape Town when I saw this storm developing over Lion's Head and Signal Hill, both part of Table Mountain. I really like the combination of the storm, dusk, and city lights. It was made with my iPhone. 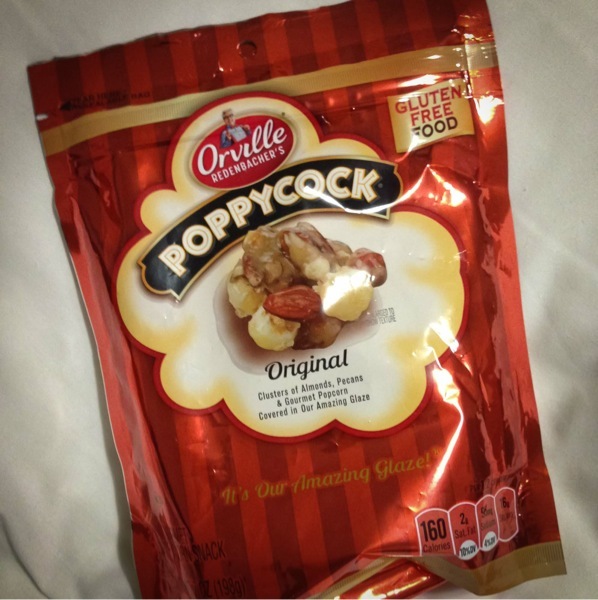 PoppyCock is EVIL, but oooohhh so good. Got this bag in the post and ate it all the same day in one sitting. I really did plan on spreading it out but alas it was not to be. I remember being in the States and knowing what grocery aisle it was on and intentionally avoiding the aisle so I won't not be tempted to buy it after seeing it! Hi. I'm Carlos. And I'm a PoppyCock addict! These are two of my favorite people in Cape Town, specifically, Muizenberg. I have a very good business and personal relationship with a couple of the surf shops in Muizenberg. These ladies Shani and Tarryn work at Xpression On The Beach. I go and visit every time I go to "the berg." Shani runs the retail store on Sunday and when Tarryn is not competing out of town for South Africa somewhere she is there also. Both of them give Surf and SUP lessons. Very cool chicks! Had to snap a pic of them eating a piece of homemade cheesecake I got for them at Yoffi Falafel. Yes, they are probably going to kill me! There is a small restaurant that cooks breakfast all day behind me as I am making this image. They make a great breakfast with everything brought in from the local farms. As I left I saw the view I missed going in. This one of Table Mountain with the Spring flowers in bloom. It was a bright sunny day so it was not hard to make a good landscape image technically. Composition was the hard part here. Where to choose to physically stand to make the image. I chose to put the fence between myself and Table Mountain to add perspective and the farm feeling. I made this image by getting as close to the ground with my camera as possible to accentuate the sand and shells in the foreground as well as the sky and upcoming sunset. What drew me to the scene initially were the wisps of clouds that look like smoke coming off of a fire. Driving home from Cape Town on a rainy evening I noticed the way the lights bounced off the droplets on my windshield. An abstract image where I twisted the camera to make the subject a little more mysterious and interesting. I was making some general images on Muizenberg Beach when this little girl that was playing with friends peeked around the corner. I love these happenstance encounters. I made it Black and White as the image was about her and her curiosity. The color would have just distracted away from the structure of the image. We must make choices when we are making deliberate images. Does the color add or distract. It'd up to the individual image maker to decide.